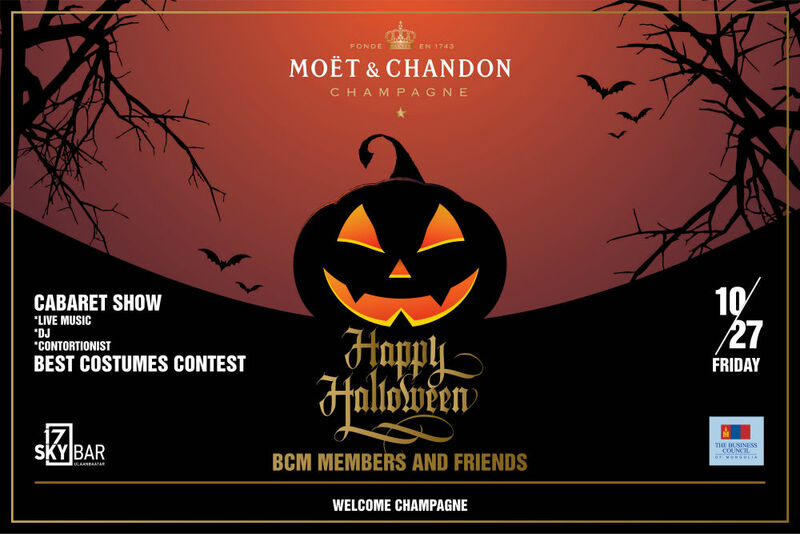 The Business Council of Mongolia (BCM) is organizing BCM Halloween 2017 Party organized ONLY for BCM members and friends on October 27, 2017. In cooperation with our Beta Star LLC (member of the MSM Group) and SkyBar, BCM’s esteemed members can enjoy unforgettable evening gazing remarkable view of Ulaanbaatar city from SkyBar with great friends and VIP business leaders! There will be welcome Moët & Chandon glass for first 100 guests, live music, CABARET show, Best Costume Awards, and many more surprizes for you! Mark you calendar and register NOW!